"A cool, fun shop in the heart of Des Moines that sells handmade and print goods from all over the country." 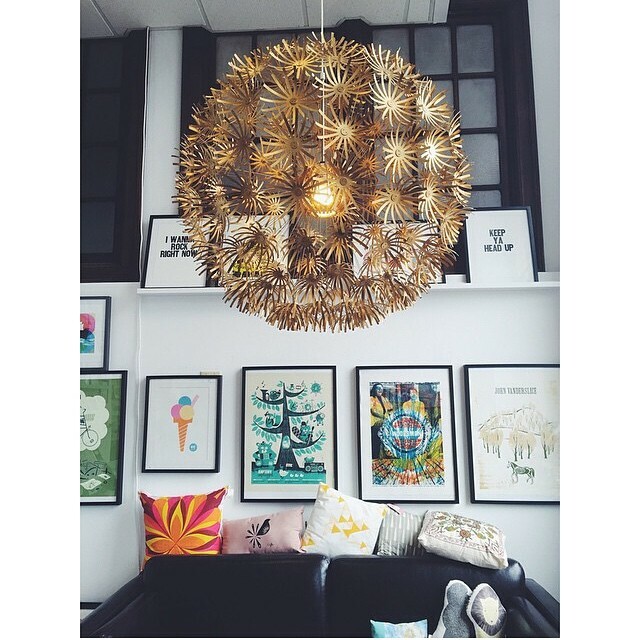 Found in the heart of Des Moines, Domestica features an array of modern handmade home and personal accessories. Whether you like fun posters or nifty knick-knacks, there's sure to be something for you. Owner and operator Chrissy Jensen works to bring a fun level of quirkiness to the East Village not only through her personal style, but the style of Domestica. She lives for the set-up - the visual background behind life's most memorable events + places. She's also the mom of a cool-as-heck 14-yr-old + married to easily one of the most supportive men alive. Don't hesitate to text us if you need us to hang on + wait for you or meet you during off hours - if we can, we will. From 235W: Take 235 headed east. Just past downtown Des Moines, take Exit 8B East 6th Street/Penn Avenue. Turn right at the top of the off-ramp (lights) onto East 6th Street. Take East 6th Street to Grand Avenue. Turn right onto Grand Avenue, Domestica's on the left just before the corner of E. 5th and Grand. From 235E: Take 235 headed wast. Take exit 8B East 6th Street/Penn Avenue. Turn left onto East 6th Street at the top of the ramp. Take East 6th Street to Grand Avenue. Turn right onto Grand Avenue, Domestica's on the left just before the corner of E. 5th and Grand.